The form of this tremendously popular event dates back to around 1700. During these early days of land warfare, 'colours' (the brightly-coloured flags of a battalion) were used as rallying points so they would be visible above the smog and dust of battle. The Roman Eagle was used in a similar way, thrown forward in the fight, in the knowledge that the men would follow to save it. It became customary to carry these colours down the ranks at the end of a day's march and to solemnly accompany them to the 'billet' where they were kept for the night. The billet represented the headquarters of a unit and the battalion's assembly point in an emergency. The aim of the ceremony was to familiarise each man with the coloured flags that identified his unit, and to guarantee all ranks would recognise their assembly point, especially when stationed in an unfamiliar town. Each morning, the colours were escorted from the billet back to their position in the battalion ranks. Consequently, the colours came to express the spirit of the regiment and were held in the highest regard. In time the Regimental Colour has taken on a greater significance. Its folds of embroidered cloth are an important object of reverence and a memorial to lost comrades. The aspects of the parade have changed very little since the age when it was known as 'Lodging the Colours'. The significant difference, however, is that only one colour, the Queen's Colour, is 'Trooped' by the Household Division today, wearing full dress, in honour of her Birthday. Hence it is also known as 'The Queen's Birthday Parade', although 21st April is the actual birth date of the Queen. 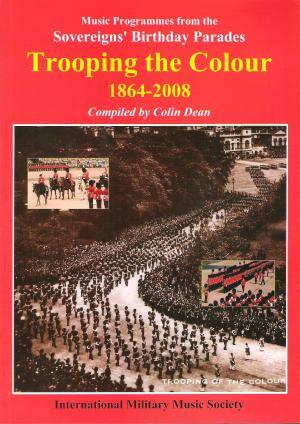 The earliest records of 'Trooping the Colour' can be found in order books of the Grenadier and Coldstream Guards of 250 years ago. According to the Coldstream Order Book for 17 June 1768, the King ordered the Grenadier Battalion to mount guard 'on the day which His Majesty's birthday is ordered to be kept'. In 1806, on 3 June, 'The General and Staff Officers belonging to the District who are resident in or near London are requested to meet the Duke of Cambridge on the Parade at Horse Guards at 10 o'clock on the morning of the next Anniversary of the King's Birthday, to be fully dressed in Embroidered Cloths'. From 1807 to 1810 orders were issued for Parades on the birthdays of both the King and Queen, the one in June and the other in January. They were not held from 1811 to 1820 because of King George III's illness, except in 1813 for the Queen, but from the accession of King George IV they became, with a few exceptions and notably the two World Wars, an annual event. The guards, in the modern ceremony today, are assembled in two ranks, a reminder of Wellington's masterful tactics at Waterloo, a reminder too that these are soldiers that stand to give service for the Sovereign and Nation when called upon to do so. Colourful and spectacular as this parade is, it used to be on an even grander scale. 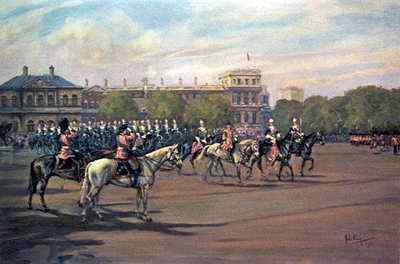 The very largest Birthday Parade was held on Hyde Park in 1920 when there were 10 complete guards on parade. Going back further still, there was an age when the monarchs of Europe and the noble families from distant lands would gather in London to celebrate an Imperial Birthday. 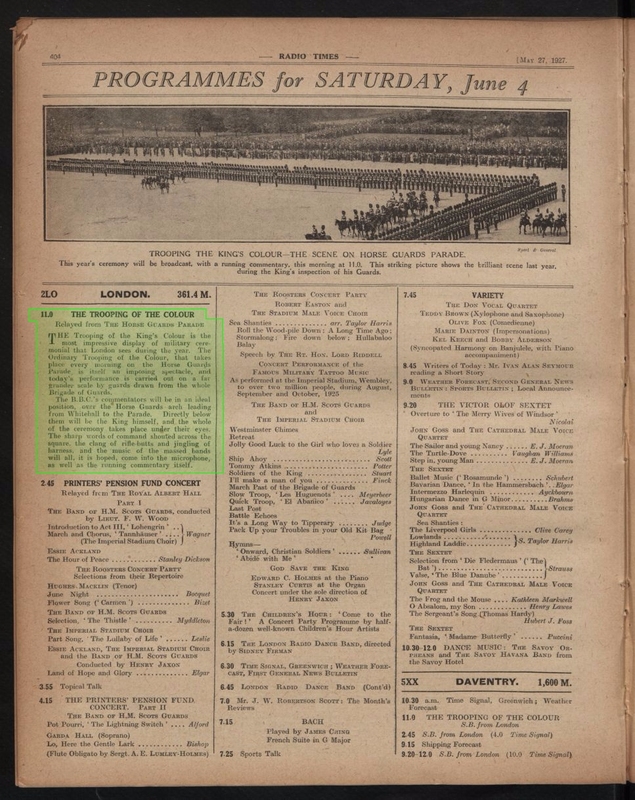 According to Radio Times, the first BBC live radio broadcast of Trooping the Colour was on 5th June 1926 on the BBC stations 2LO in London, 2ZY in Manchester, 5SX in Swansea and 5PY in Plymouth. 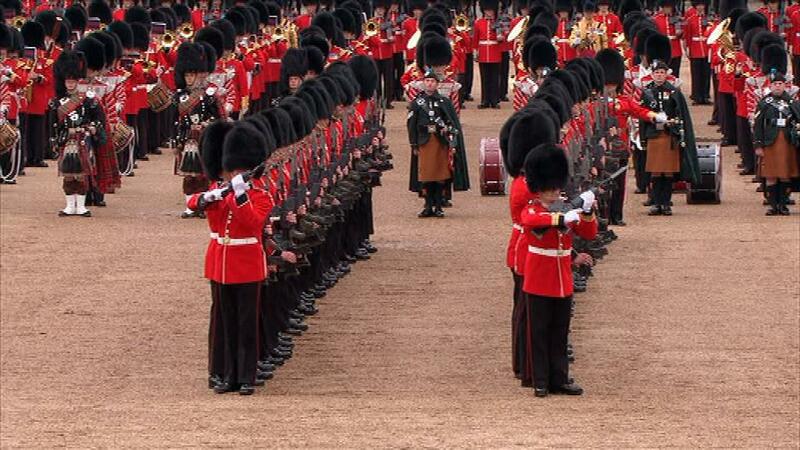 THE Trooping of the King's Colour is the most impressive display of military ceremonial that London sees during the year. The Ordinary Trooping of the Colour, that takes place every morning on the Horse Guards Parade is itself an imposing spectacle, and today's performance is carried out on a far grander scale by guards drawn from the whole Brigade of Guards. The B.B.C. 's commentators will be in an ideal position, over the Horse Guards arch leading from Whitehall to the Parade. Directly below them will be the King himself, and the whole of the ceremony takes place under their eyes. The sharp words of command shouted across the square, the clang of rifle-butts and jingling of harness, and the music of the massed hands will all, it is hoped, come into the microphone, as well as the running commentary itself. The first live BBC Television broadcast was on 8th June 1939 with the following broadcast not being until 12th June 1947. The above image and information is from the BBC Genome database. His Majesty King George VI was unable to attend Trooping the Colour due to ill health, so his place was taken by his daughter, Princess Elizabeth. The princess, riding side-saddle wore a modified version of the regiment's uniform. The young Prince Charles rode alongside his grandmother, Queen Elizabeth (later known as the Queen Mother), and his aunt, Princess Margaret, in a horse-drawn carriage. The colour trooped was that of the 3rd Battalion Grenadier Guards. The horse ridden by the princess at this event was called Winston, while the music played at the beginning of the troop inspection is 'The Triumphal March (Glory to Egypt, to Isis!)' from 'Aida' by Giuseppe Verdi and is followed by 'The Prince' by Richard Tulip. Music Programmes from the Sovereign's Birthday Parades compiled by Colin Dean. A thoroughly researched volume which also includes notes on personnel (Senior Director of Music etc.) and also brief notes on parades such as 'first use of SA80' or 'first time Kings Troop took part' etc. where appropriate.